Buy my book on Indiebound by clicking this link. Buy my book on Amazon by clicking the link. Bridgette A. Lacy is an award-winning journalist with a public love affair with food and culture. She authored a column “Morsels” for The News & Observer in Raleigh for many years and writes about food, chefs and culinary trends for The Independent Weekly and the North Carolina Arts Council. She's now the author of Sunday Dinner, a part of the Savor the South series by UNC Press. Lacy offers an ode to a meal that, notably in the Sabbath-minding South, is more than a meal. Sunday dinner, Lacy observes, is “a state of mind. It is about taking the time to be with the people who matter to you.” Describing her own childhood Sunday dinners, in which her beloved, culinary-minded grandfather played an indelible role, Lacy explores and celebrates the rhythms of Sunday food traditions. She draws on life-defining moments to produce rich and honest prose and fiction. She's written about her battle with a brain tumor and authored a popular series on unemployment. In between, she’s had adventures near and far, including a 1994 North Carolina Arts Council fellowship that sent her to the South of France to hone her fiction. In 1996, her short story, “Lilly’s Hunger,” was published in Streetlights: Illuminating Tales of the Urban Black Experience (Viking Penguin, 1996). 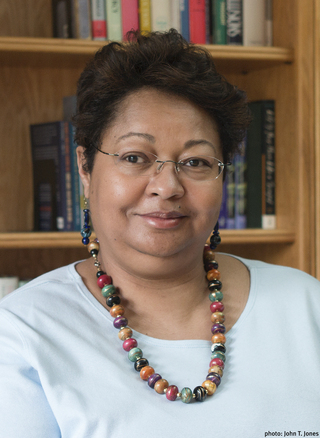 Her work has appeared in Newsweek, The Washington Post and Southern Living. "Bridgette Lacy's book will appeal to all who are interested in southern cooking. For those who have fond memories of the Sunday dinner tradition, Lacy's wonderful voice comes through loud and clear as she encourages the continuing celebration of the tradition, richly describing dishes and conveying to the reader that Sunday dinners are a special treat no matter how small or how large your family." 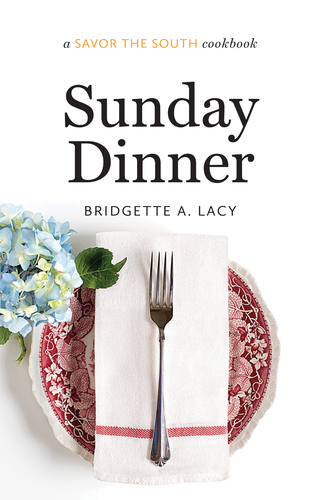 "As Bridgette Lacy knows, for southerners the Sunday dinner is a sacred occasion no matter if or in which house we worship. Lacy brings us right up to the storied tables of her childhood, laden with the classic dishes that celebrate the week's achievements and offer us peace when we're dispirited. She is a born storyteller, and her depictions of Sunday dinner are so lovingly rendered that even the most hard-hearted, eat-to-live, agnostic among us are moved by the power of togetherness embodied in this meal."